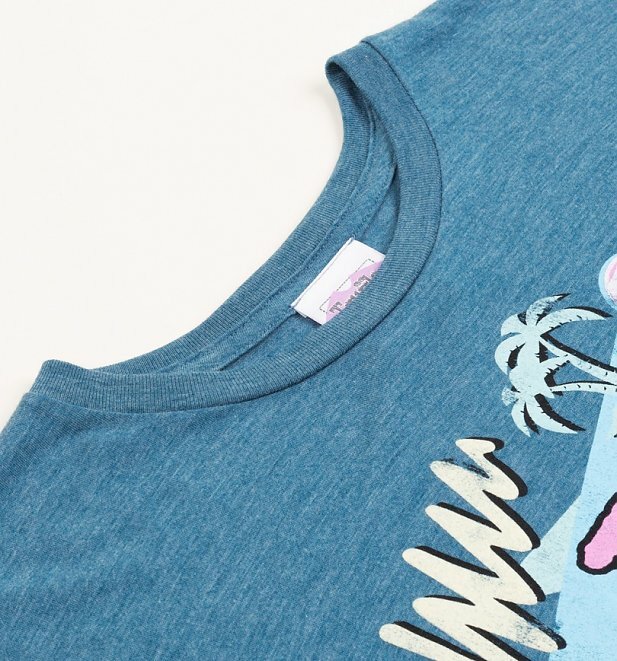 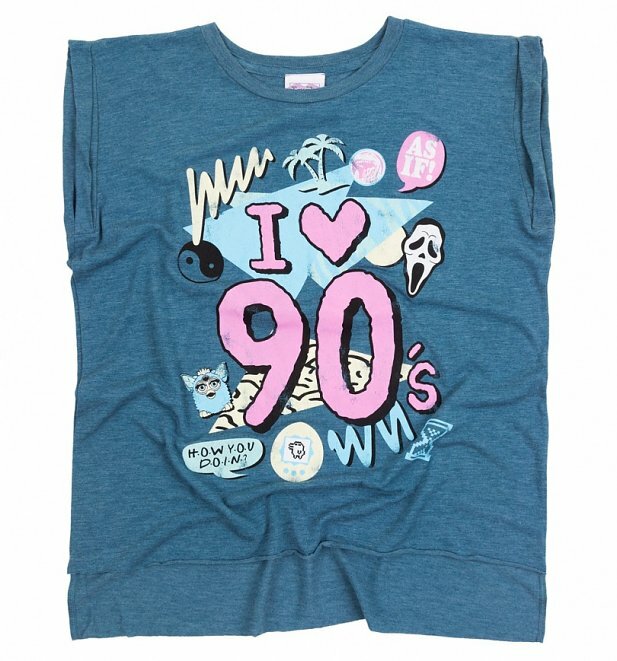 Our fave things from the decade du jour totally pop on this cheery teal-hued tee! 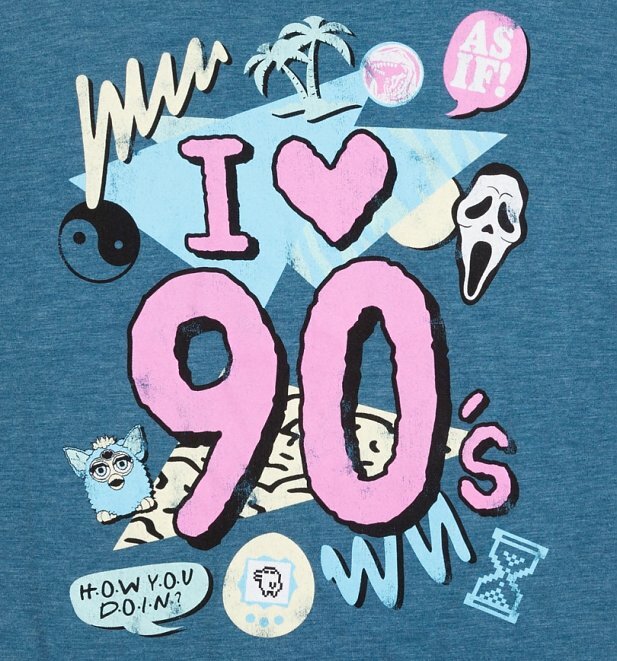 From top teen films to must-have toys (Tamagotchi, anyone?!) 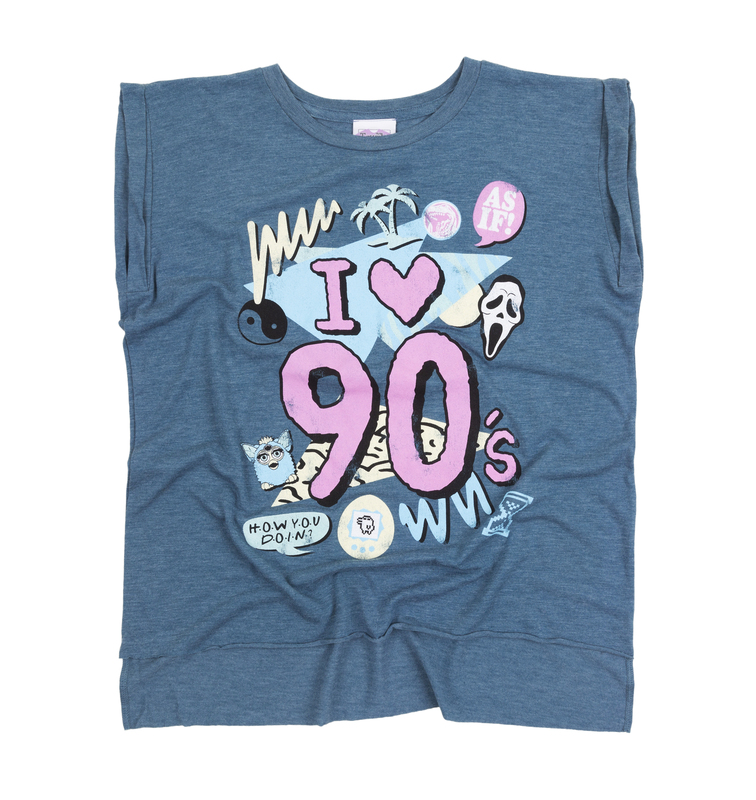 to iconic TV, this is a sure-fire talking point tee.